It’s no surprise that every now and then people are bringing their dreams alive to this online world where blogging has become the source to express. In the past few years, blogging has come so far that you can hear everyone starting a new blog. The concept of choosing a perfect niche and the platform is so common. Everyone has an idea that WordPress is one of the most reliable platforms. Do you want to start a WordPress blog? To start your own blog and make money from it, first you should know the basic setup which needs a few things. What Should You Do To Start A Blog? To start with WordPress, you need to know the concept of a domain name and a web hosting. The domain name is the name of your blog, you have to own it. 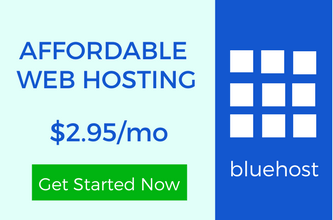 Whether you buy it from a domain name registration company or get it free with a web hosting plan. Web hosting is a space you need to place your blog on the internet. There are many reputed web hosting providers. Let me provide you the list. And if you want a managed web hosting, WP Engine is one of the best web hostings you can find. Let me provide you the to do list for your blog. If you want to buy your domain name from any domain register company then you can otherwise, the first two steps can be covered together. #1. Buying a Domain Name And Setting up a Web Hosting Account. As I have mentioned many web hosting providers above which consists Inmotionhosting at the top. It’s because we use it and the service we receive is way better than others. In this tutorial, you are going to start a WordPress blog with Inmotionhosting. We have been using it for a very long time and BloggingLove readers will get the maximum discount they can provide. After visiting the Inmotionhosting’s website, you will see three types of web hosting plans. For effective growth, it’s recommended to choose the “Power Plan”. As you all know the speed of a website is a vital feature which should be maintained. You can also stick with the basic plan. Click on the plan you want to buy. It will take you to a new page where you will be asked to buy a free domain name or enter the domain name if you have already bought it from anywhere else. NOTE : You don’t need to spend any extra money when you can get a domain name for free with an Inmotionhosting account. You will be happy to know that you can also configure the web hosting server according to your location. 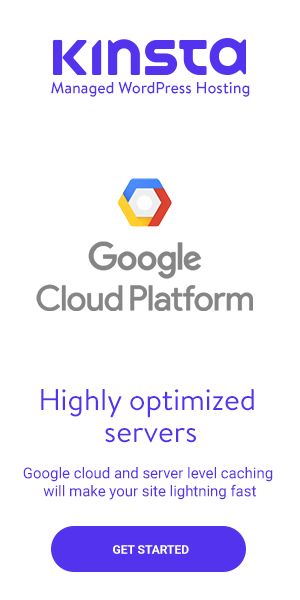 Though Inmotionhosting automatically selects the best server, if you want to change, you can. Inmotionhosting provides you the options to choose the auto installer for your domain name. You can skip this step to install WordPress later. 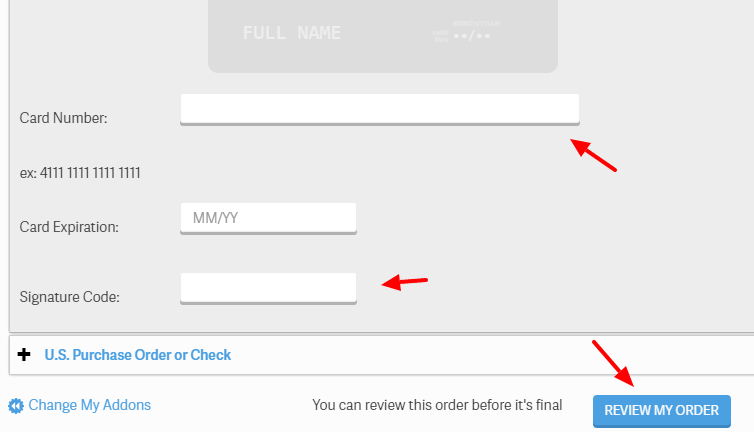 Click on the continue button and the billing page will appear to you. You have to fill all of your personal details. Your name, company name, Address, city, state, country etc. When you will scroll down, you will see the required details of your credit/debit card. Fill all the details and click on the “Review button”. This page will show you all the details you have filled in the form along with your domain name and the type of plan you have chosen. Finalize your order and within one working day, your order will get confirmed. To verify, you have to upload your ID. Don’t worry, it will be done only after buying the web hosting. It’s the legal step every company takes. You have successfully bought your domain name and the web hosting. Now is the time to install WordPress. #2. Use One Click WordPress Installation. You would be happy to know that InmotionHosting provides its users to install WordPress just with one click. Login to your web hosting cPanel and search for the WordPress icon in the Applications’ section. Click on WordPress icon and you will see a form to fill all the details of your blog. 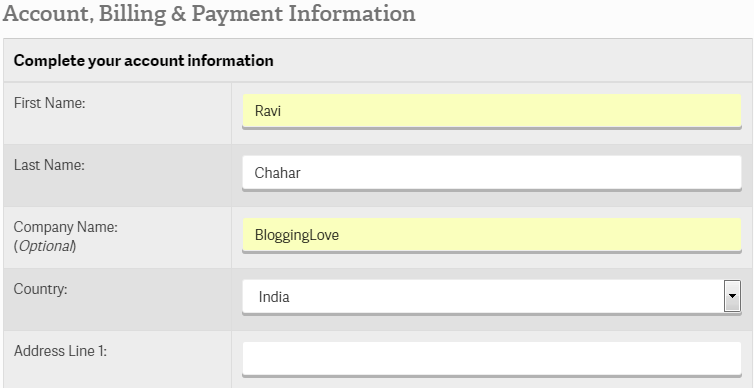 The name, tagline, the admin name and the password required to log in your WordPress blog. You can follow this guide to install WordPress using one-click installation method. To login to your WordPress blog, you have to use a special URL. Just open it in your browser and the WordPress login page will appear to you. Fill the username and the password you have used while installing WordPress. #3. Install A Theme With The Unique Design. There are many free themes present in the WordPress repository which can be installed. Just navigate to Appearance>>Themes from your WordPress dashboard. By default, there will be a few themes available in there. To find more, search the name in the WordPress directory and add new. For a better theme, it’s always recommended to use the premium theme. There are many theme providers. If you want any custom website design then contact us. We will try our best to provide you the design you desire. #4. Installing the WordPress Plugins. To start a WordPress blog, it’s important to know about all the essential plugins which should be used. First of all, you should know how to install a WordPress plugin. Go to Plugins>>Add New and search the plugin you want to install. There are some common plugins you should use. The contact form plugins can help you create a “contact us” page so that your readers can directly reach you. It’s always recommended to keep the size of the database as minimum as possible. You should know how to clean up your WordPress database. If you want to use W3 Total Cache then a guide consisting all the settings can help you. Many people start using WP Super Cache which is also an amazing caching plugin. 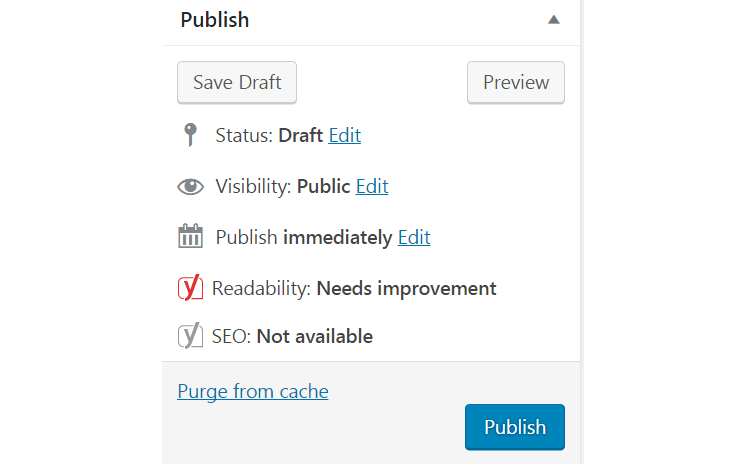 You would be happy to know the best settings for WP Super Cache plugin. The list of the top WordPress caching plugins consists many others. #5. Start writing your first blog post. After all the theme and plugin installation, you should look for one more setting. Choose the SEO friendly permalink structures for the better SEO. It will help you in your future. For your blog post, you have to navigate to Posts>>Add New and the WordPress post editor will appear to you. There is a space to fill the headline of the article and the rest is for the body. You can express your thoughts and craft the content according to the Yoast SEO plugin. After completing, you would want to publish your first blog post. On the right side menu, you will see a “Publish” button. Use it and you will see your blog post on your blog. Congrats, you have successfully started your blog. There are many other WordPress settings which can be learned once you start using WordPress. Within a few days, you will come to know the importance of having a secure WordPress blog. I Hope You Can Easily Start A WordPress Blog Within No Time. Many people fret about starting a blog because it seems to be very complicated but once you start using WordPress, it will be your friend. You will never regret your decision. Apart from the settings mentioned above, you should learn about WordPress security tips and the SEO tips and tricks which can boost the growth. When you start a WordPress blog, you always remain concern about driving the traffic. Well, there are many blog traffic tactics which can help you get more exposure. If you still face any difficulty, feel free to drop a comment or you can connect with us on LinkedIn, Twitter, and Facebook. This is one of the best articles I’ve seen on starting a WordPress blog. I’ve been hearing many good things about InMotionHosting. I might have to give them a peek. I particularly like the one-click install. That’s an added perk! Thank you for sharing this “easy to set up a blog” tutorial! You know I’ll be passing it along! There are thousands of guides to start a blog but it’s hard to find the on you can easily get. People need to get guided for the reliable tools. 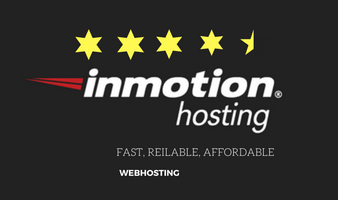 InmotionHosting is one of the best web hostings I have ever used. Let me know if you want to give it a try. I will be there to show you around. How simple is that if an expert explains it. People not aware of this great tool get their site developed by a designer with coding though they can do it themselves by reading such posts. Just selection of niche, domain and hosting needs a correct decision while rest of the actions could be corrected later on without paying to someone. It’s always been a taboo for starting a WordPress blog. People hear about WordPress but fret to take charge. They should understand that starting a blog is the easiest thing they can ever learn. The correct niche, the domain name and the perfect web hosting make it all a bundle of information. Thanks for shedding some light. This is a great tutorial of how to start a blog. I’ve heard of InMotionHosting and almost signed up with them when I started my blog. If I would’ve found your tutorial, I probably would’ve signed up. The Power Plan looks great, especially, for someone who is trying to grow their blog. Nice to know that they provide a free domain. That can definitely save someone new money on their blog. I know that your tutorial will definitely help anyone who is just getting started. Thanks for sharing. It’s nice to know that there are people still willing to create step-by-step tutorials like this to help people who are unfamiliar with WordPress. I have been using InmotionHosting for a long time and never had any issue. For beginners, the biggest problem is signing up for the right web hosting. They need a step by step guide. At BloggingLove, you will find every possible WordPress tutorial. Every tutorial is explained so that anyone can accomplish their task. Starting a blog is the most discussed topic and almost every blog on blogging has this guide. Yet, people hire designers and spend hundreds of dollar on getting a blog developed while it just takes few minutes of work. You’ve covered each minute detail and even an internet illiterate person can start a blog if he/she is referred to this guide. Talking about hosting, I have personal experience with SiteGround, BlueHost, and iPage but inMotion. will check it out.